I’m obsessed I really am ! 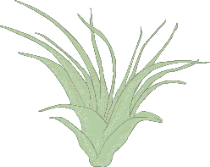 I have tons of Air plants and Succulents right now more than I even know what to do with ! Well except enjoy them. 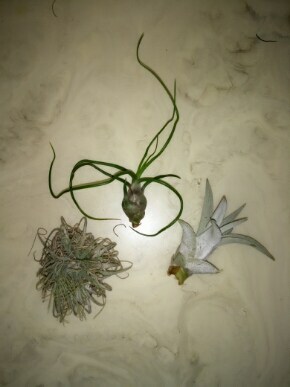 But my latest project for a few of my air plants turned out perfect !! A lot of my DIY projects have normally been done in some way before but I try to explain and show the most effective way possible. Steps most people would leave out I include. On the way home from our Florida vacation we gathered some of the Spanish hanging moss off the tress at the time I had no idea for what. Then I knew I wanted to make a Driftwood Planter. 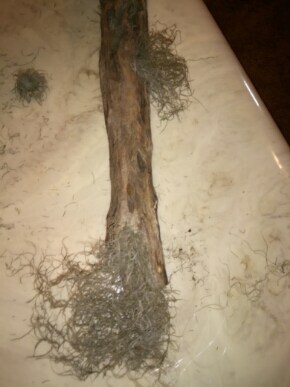 We found the wood on our property in Georgia. This was made so simple and so easy from stuff I mostly had or found. 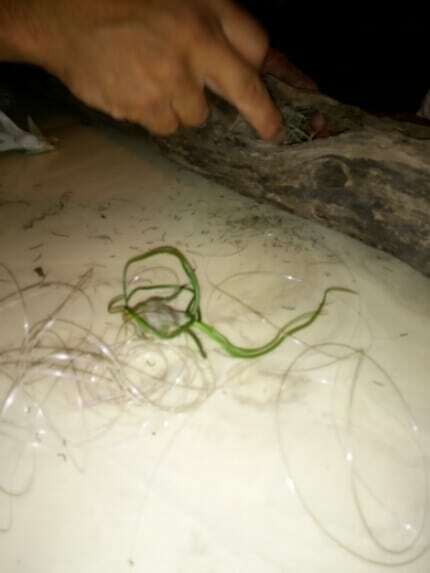 Fishing String if you want to hang. Drill to drill two holes. Screws if you prefer to hang. 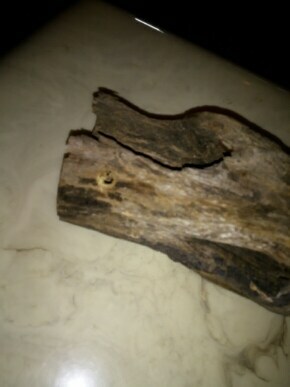 Go hiking ha-ha no seriously go outside and find the most unique piece of wood possible. Clean it well to remove bugs or any dirt. Just run water or use a wet wash cloth. Mist the moss it just makes it easier to stretch and place where wanted. I filled the ends with moss so it would look great from the side and that also helps retain some moisture. Filled the holes that were already in wood and let some falling in all holes. Placed my air Plants in the holes and worked with them until I felt like they were secure. I didn’t want the wind to blow them away. That’s all y’all !!!! Then I screwed to hang ! I just want people to realize anyone can do this it’s so cheap and so easy ! You will not fail at this project. When people come up on my front porch it’s a unique piece that instantly draws the eye. And it pleases my gypsy soul. Some say hang the Planter 1st I did not I found it easier to place everything exactly like I wanted while I had it on the table. See below for more detailed pictures & how to maintain the planter. Caring for the planter is simple… There is two ways soak your plants in a small dish of water for about thirty min one time a week. 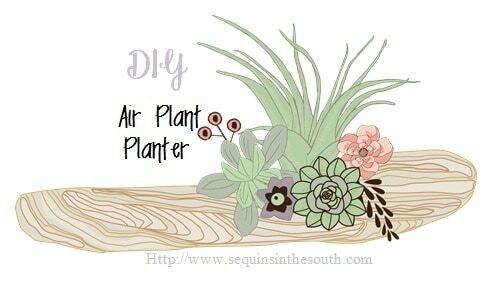 Or option #2 mist them twice a week pretty good while Plants are still on planter. That’s what I do I have a mist bottle I use. So far it’s worked perfect. Please feel free to ask any questions I answer them quickly !! Hope you enjoy this as much as me. I am obsessed with succulents too! I had never noticed them until about a year ago. Now I have them growing everywhere. Living in South Florida, succulents can grow outside year round. I even plant them in the ground and they grow like crazy and need next to no attention. Most of all I love all of the odd shapes. 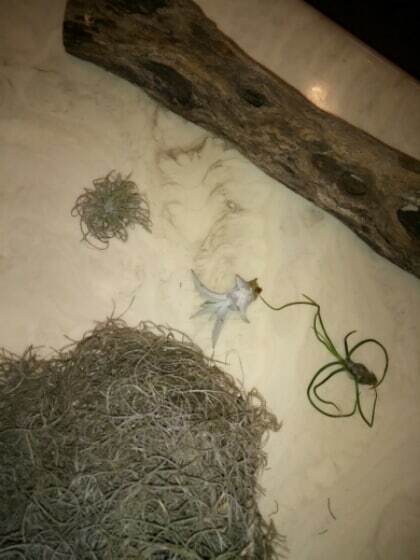 Now I have to find an air plant and a piece of drift wood! Thanks Laci! 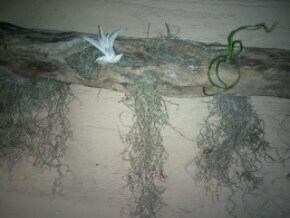 We had airplants when I was a kid, I always thought they were so neat! That is a cute project! I might have to try it. Such a great idea! It's a unique piece that would look great in anyone's home! I'm obsessed with succulents right now too! I love this. I am obsessed with succulents too but I can't quite figure out where to put them in my house at the moment since my little one climbs all over the place and grabs everything off the shelves! I'm thinking about doing some hanging ones that would be out of his reach. I too am obsessed with succulents recently and I have two currently. I was at a party this weekend and they had a piece of drift wood that they had drilled hole in and planted succulents in. Sooo pretty! What an awesome project! I really liked it and will be sure to pass it down to my sister-in-law and her three kiddos! I'm not sure I have introduced myself or not, but my name is Niki, and I'm one of your fellow Merry Monday hosts, and wanted to let you know that I love your blog and hope to catch up on several of your other projects this week, too! Have an awesome week! This is such an awesome idea! It looks so nice! I'm obsessed with houseplants and have been wanting to buy an air plant for a while, but I wasn't sure how I wanted to display it. This might just be the best idea yet! Oh my roommate is going to love this!! I can't wait to show her! This is so awesome! Thanks for sharing I would love to make it! Nice. This looks like a good project for my husband. He's always looking for new planting ideas. Thanks! These look so lovely! I had never heard of this kind of thing until recently - and now they seem to be everywhere! I really love what you have done with it! 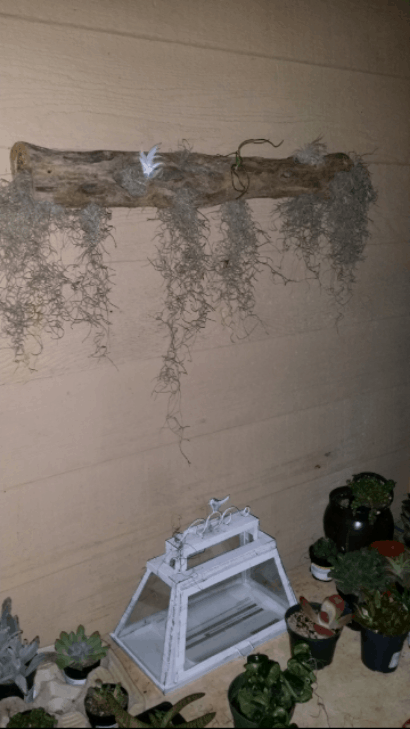 Driftwood is one of my favorite things -- and using it as an Air Plant holder is perfect. I love succulents and drift wood...I never thought to combine the two. This is an interesting way to plant them. Love the idea. Oooh love!! I have a piece of drift wood I'm wondering what to do with, this turned out so adorable. I think it's the year of the succulents can't get enough!